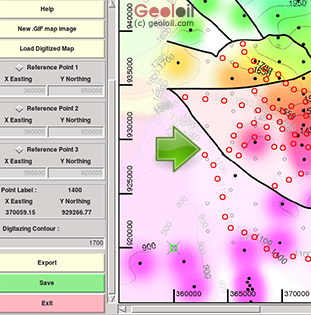 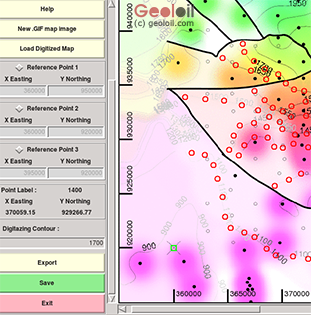 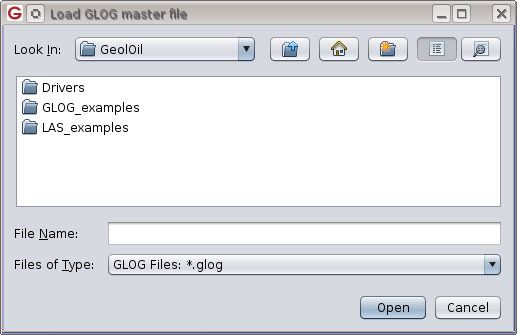 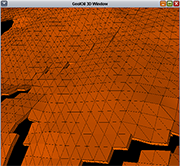 GeolOil consists of five intuitive yet powerful modules that run on of Windows, MacOS, and Linux. 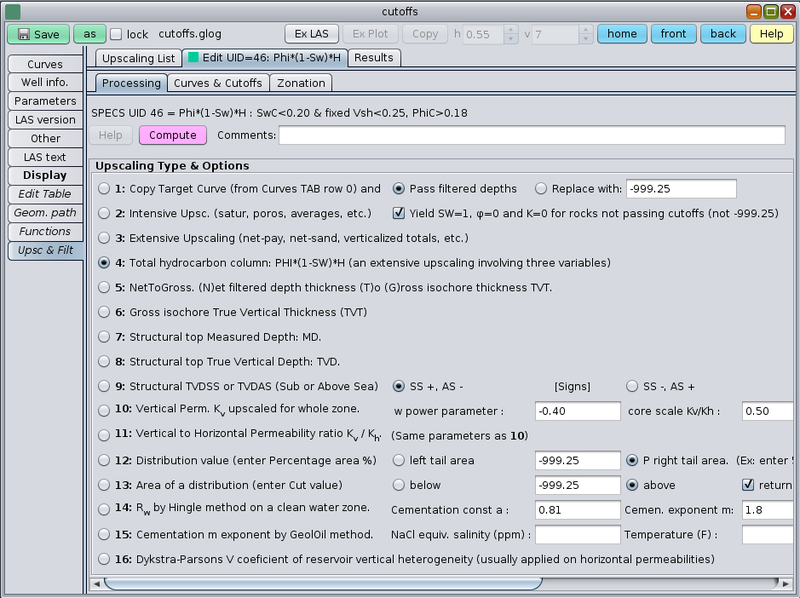 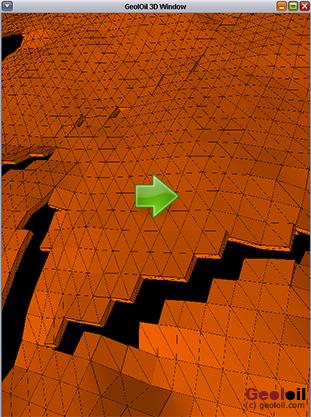 This module allows to fully edit LAS files: curve values, mnemonic names, well and parameter sections, export curves, import curves, import core data, remove curves, add curves, reorder curve positions, merge curves, generate TVD depth curves, generate TVD-SS depth curves, and more. 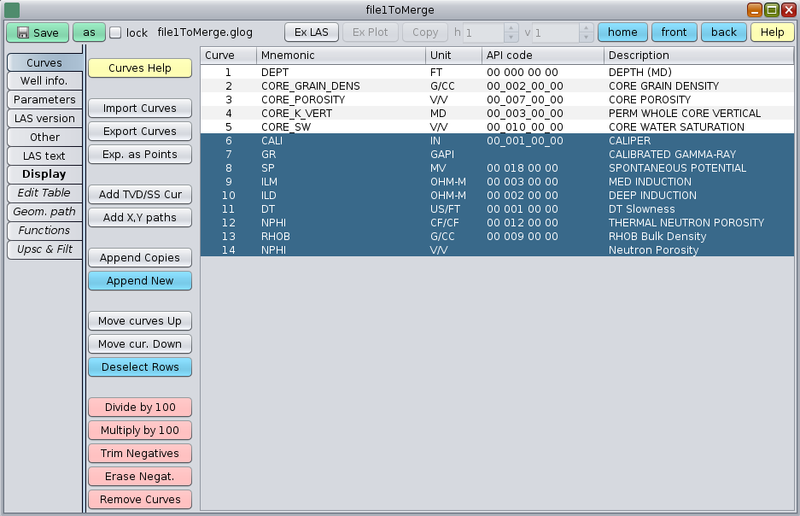 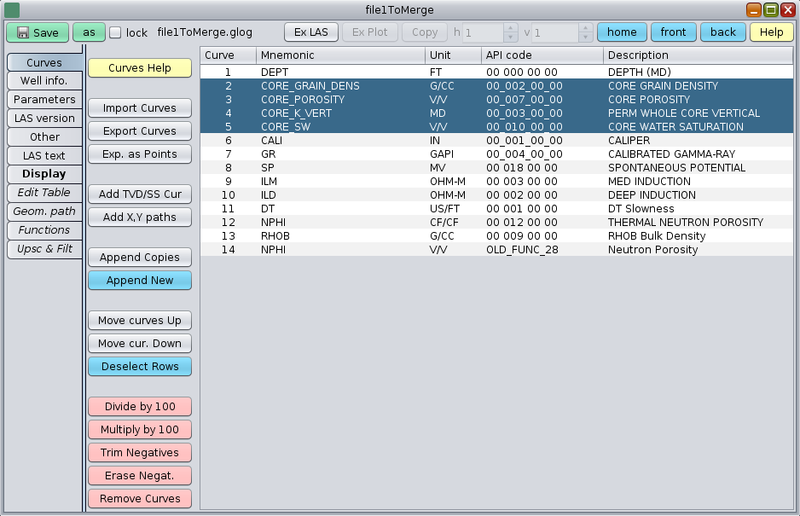 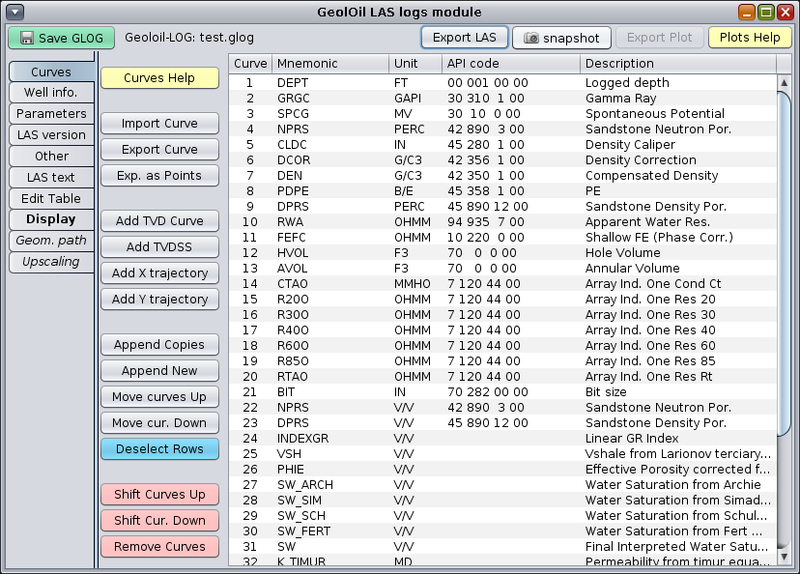 It also allows to re-sample LAS files to change to a higher or lower depth step resolution, and merge several LAS files into a single new consolidated LAS file. 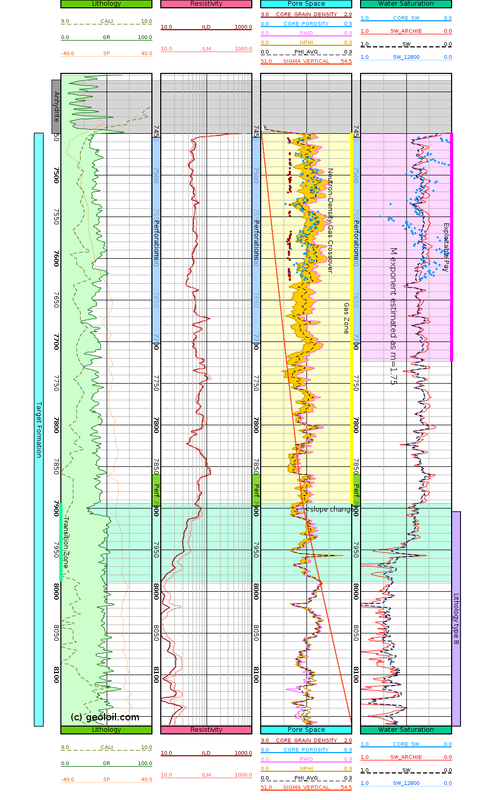 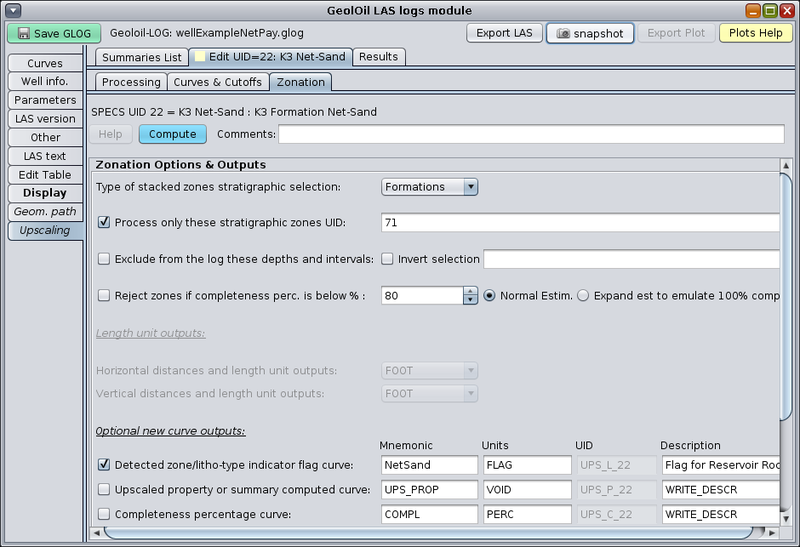 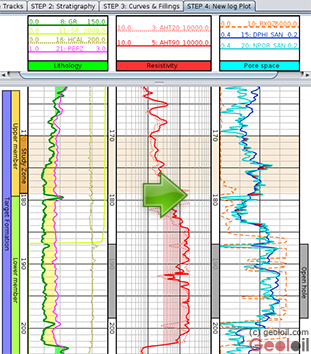 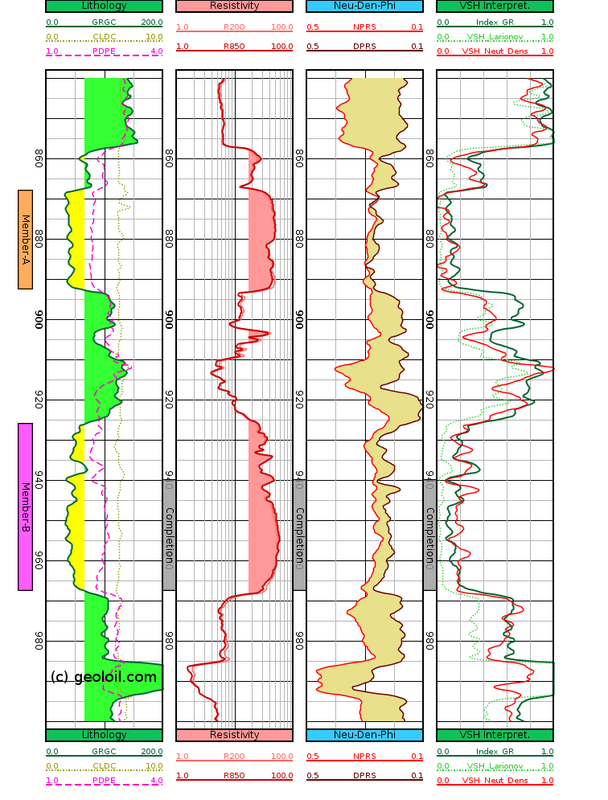 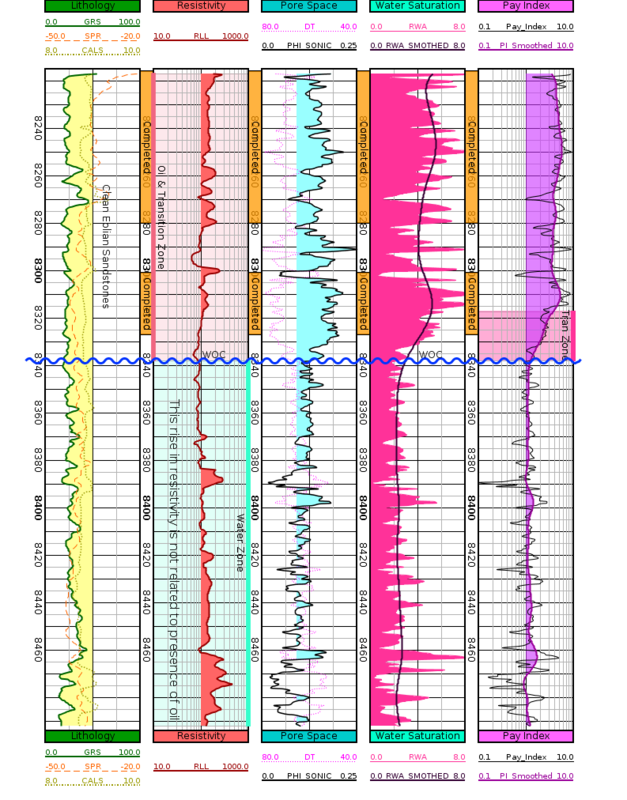 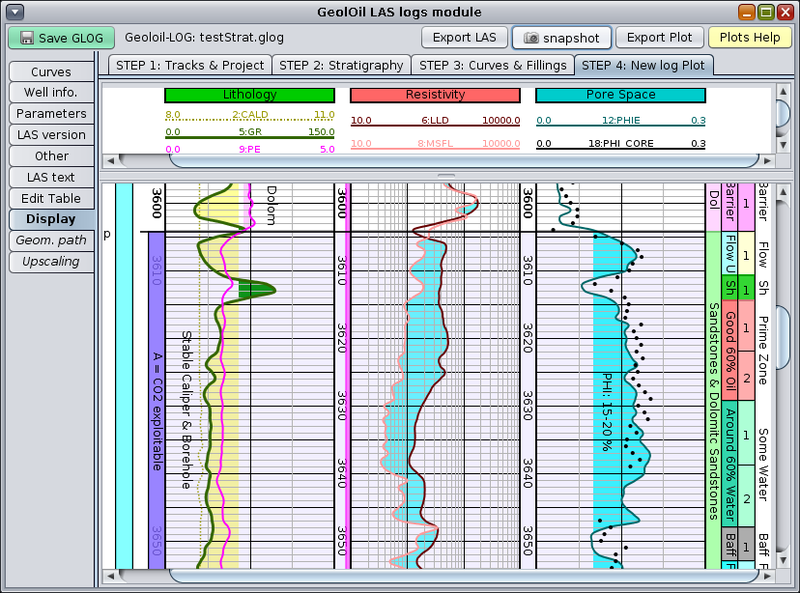 This module allows to plot LAS curves, define the well stratigraphy, the well path through its directional survey file, the well surface location in Google Maps, and display the log curves and zones. 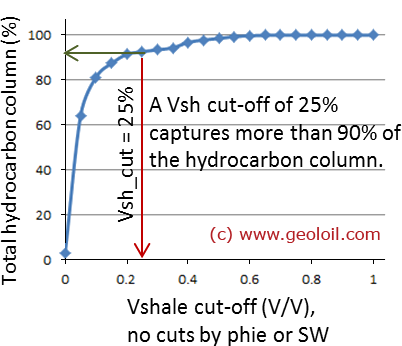 It has capabilities to shade zones, handle transparency, and even to measure TVD distances between zones for non vertical wells. 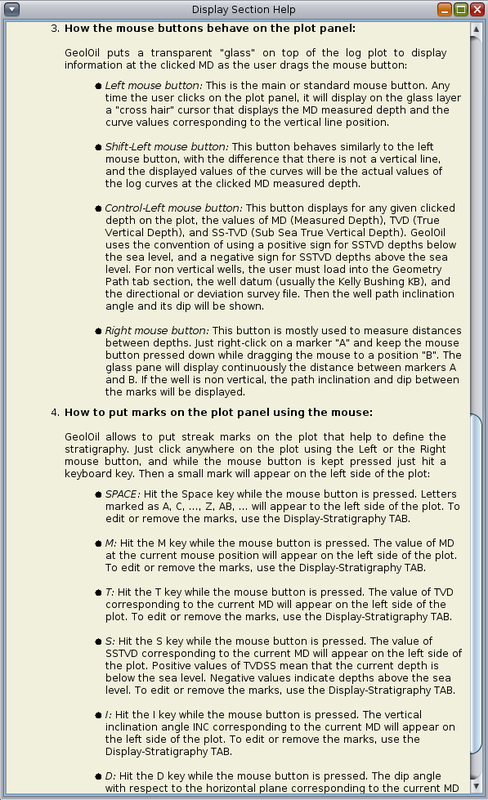 Its use is very intuitive and simple. 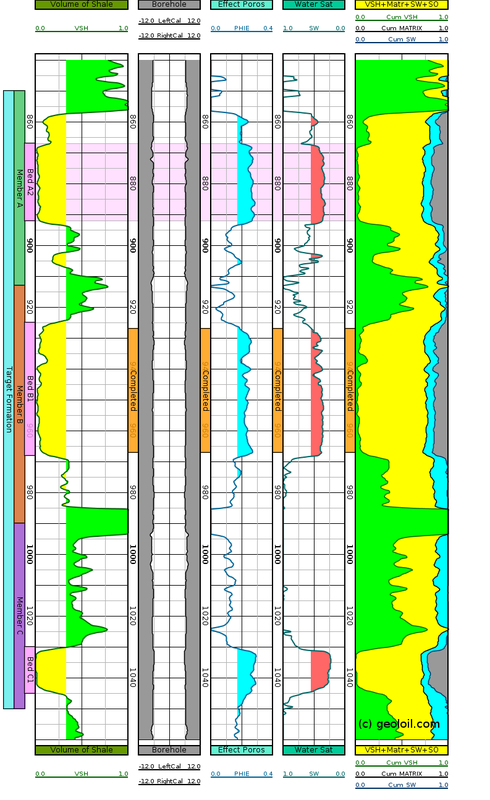 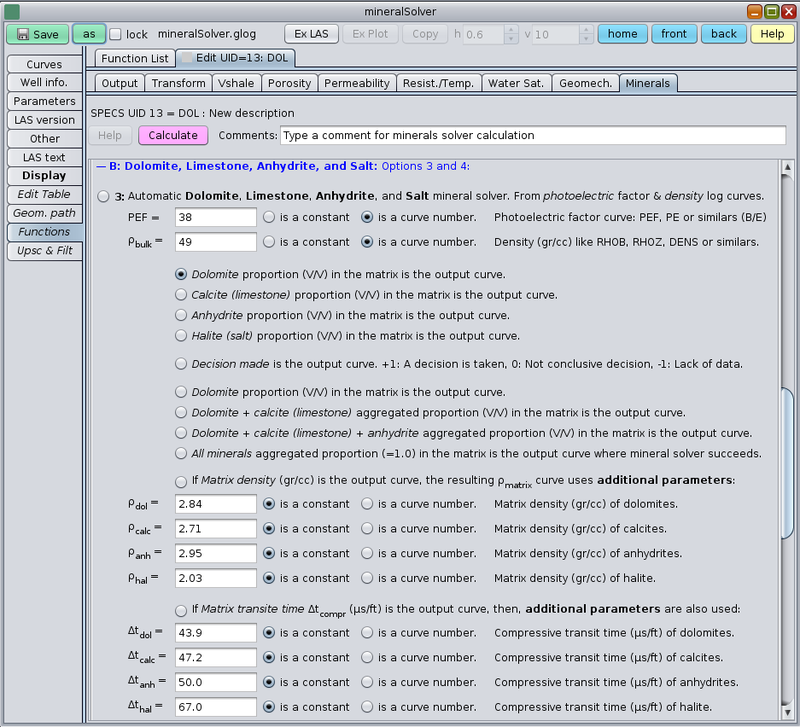 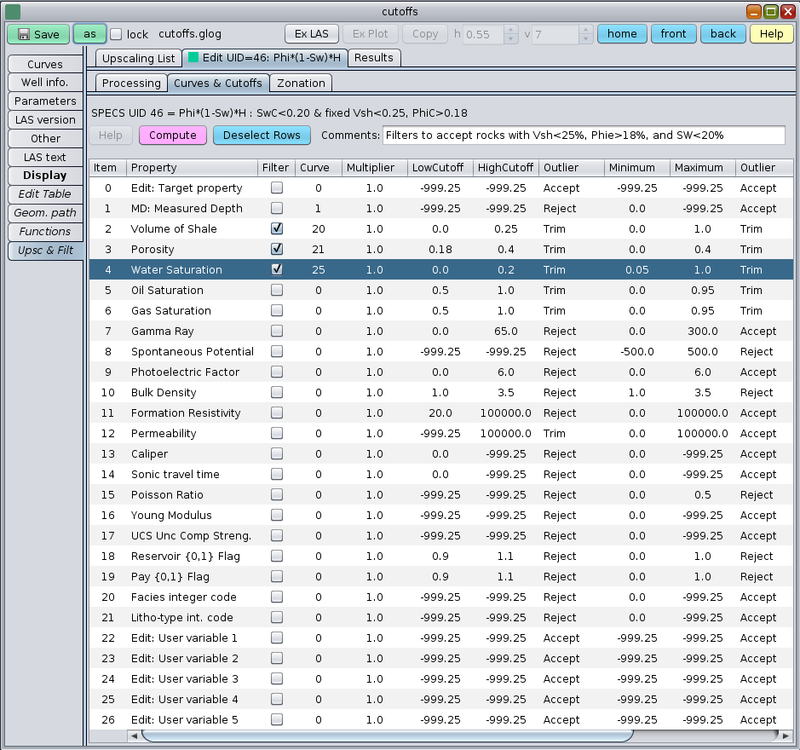 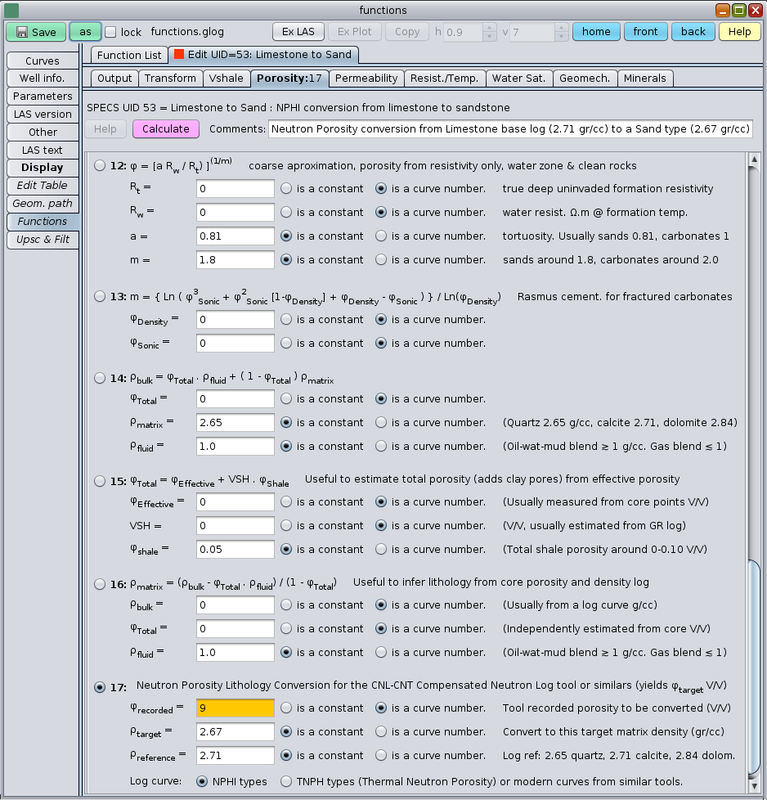 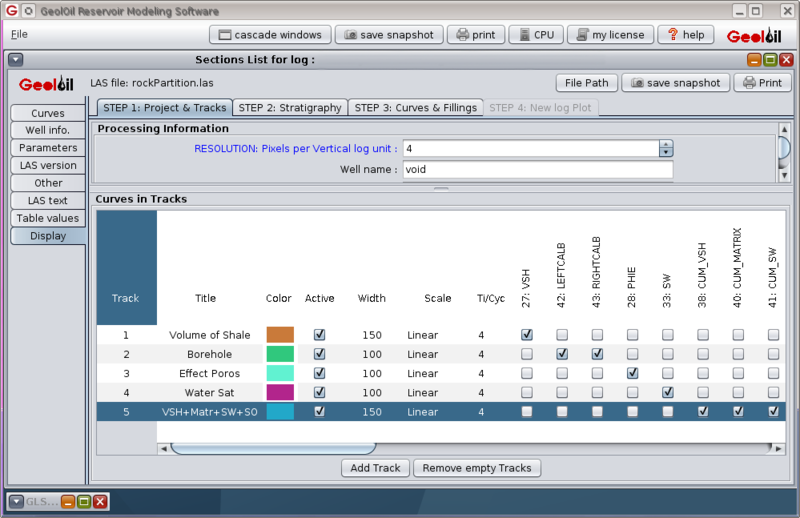 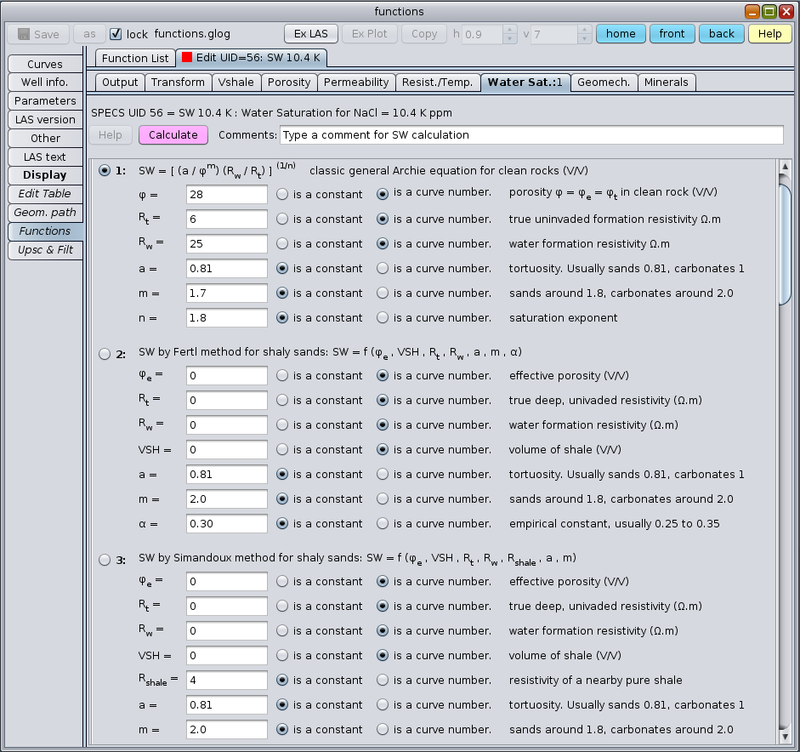 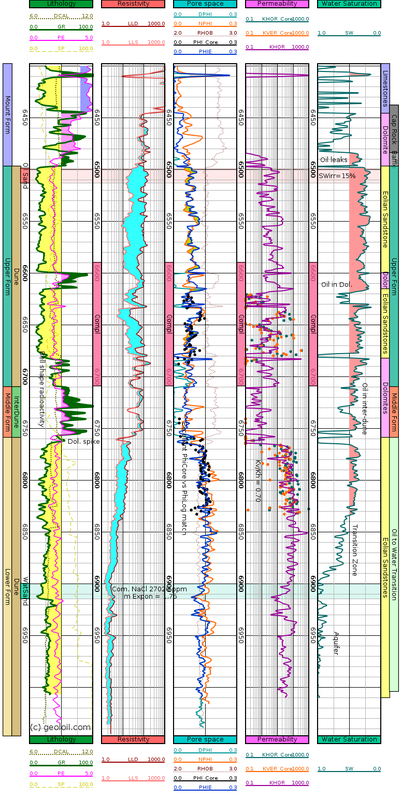 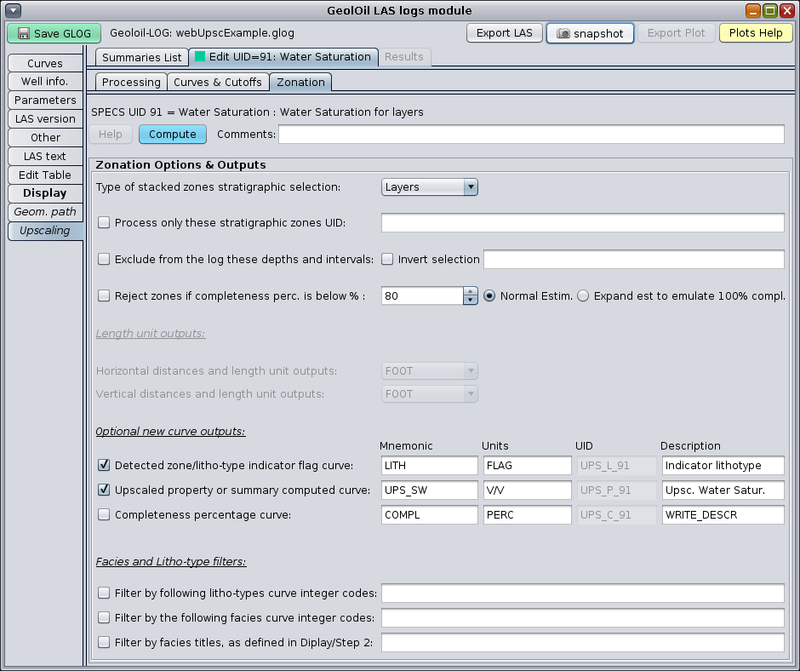 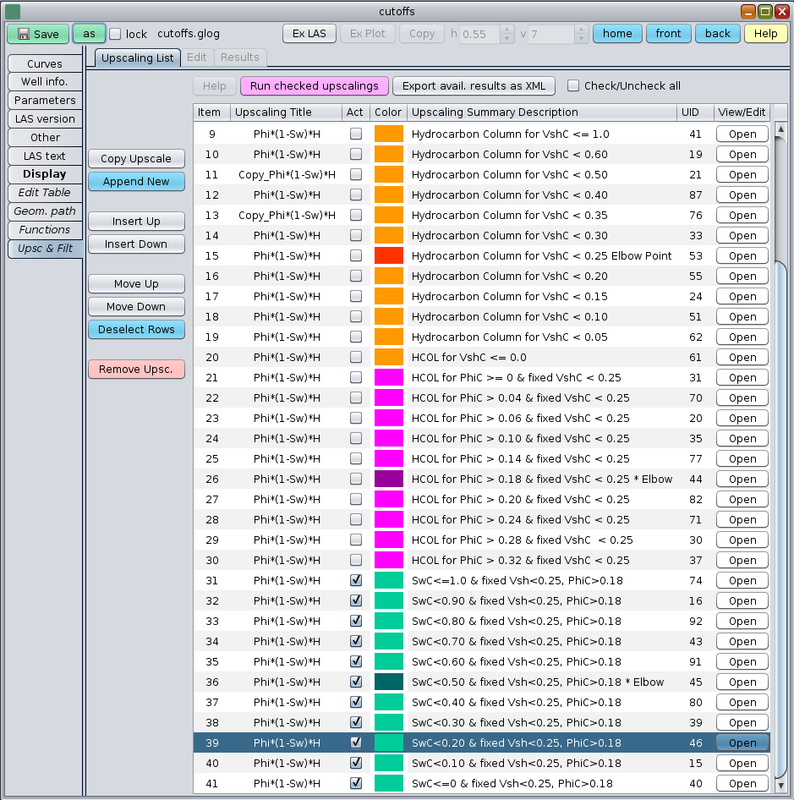 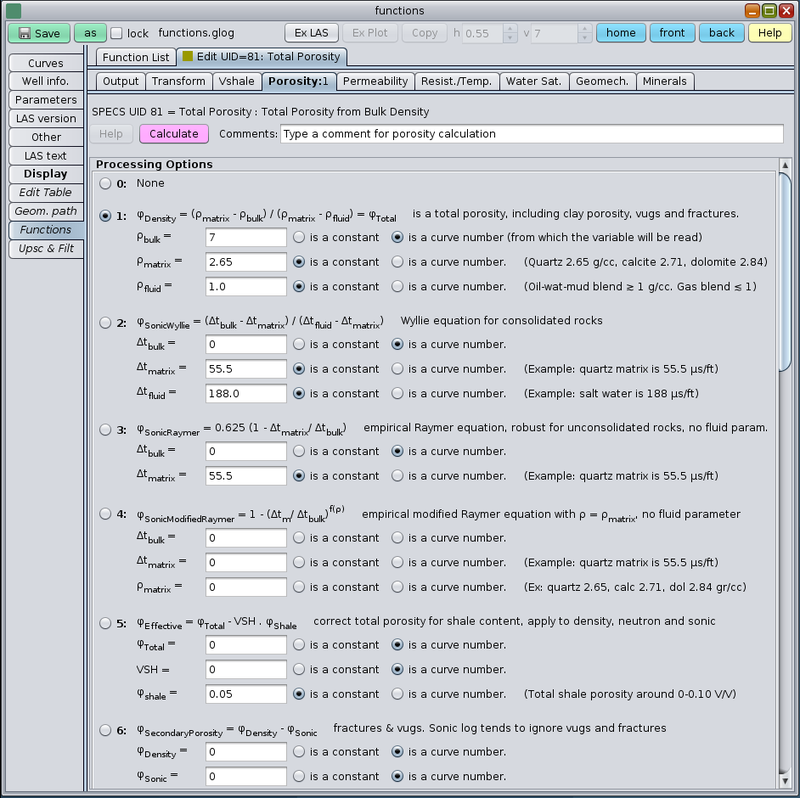 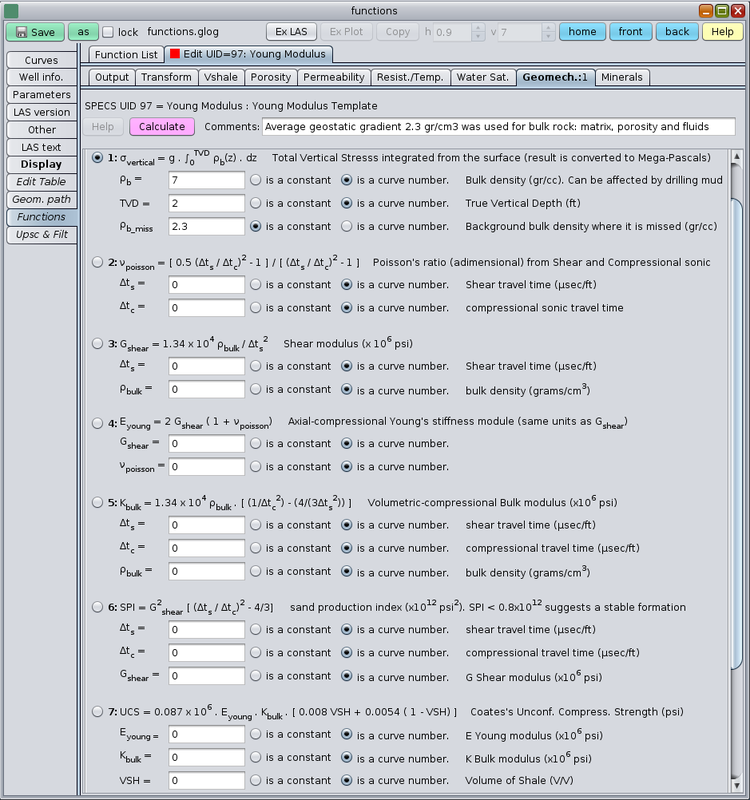 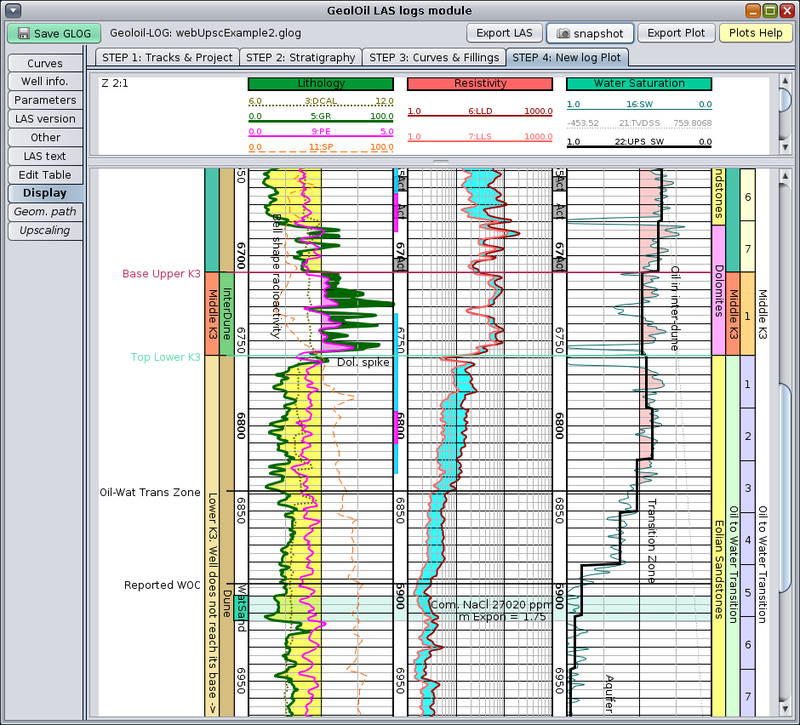 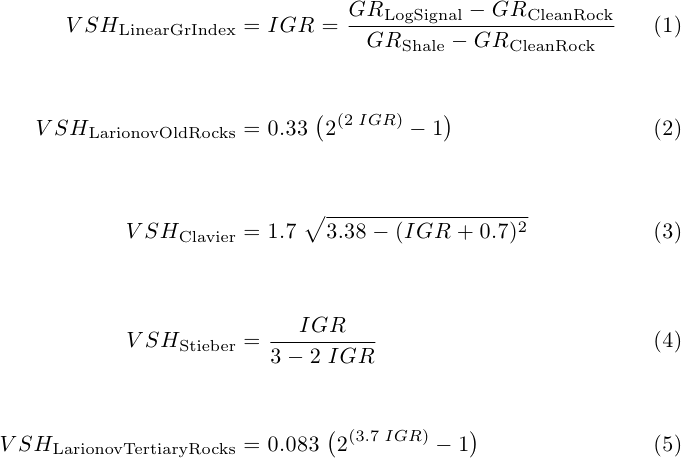 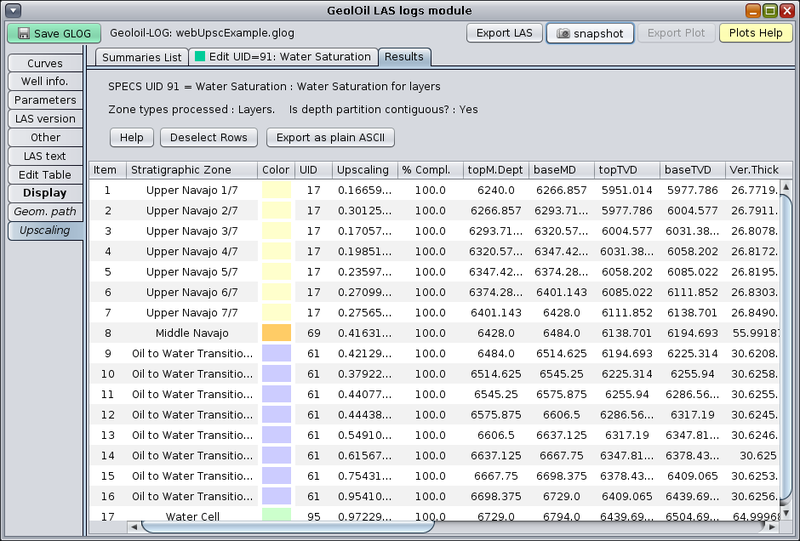 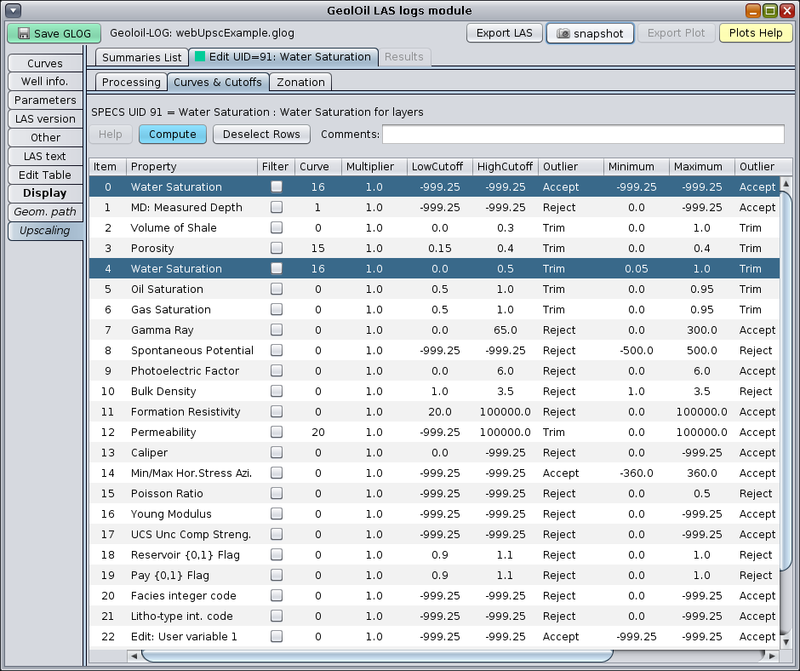 The Sequential Petrophysical Functions module allows to compute log functions specifying a dependency order to update the interpretation analysis. 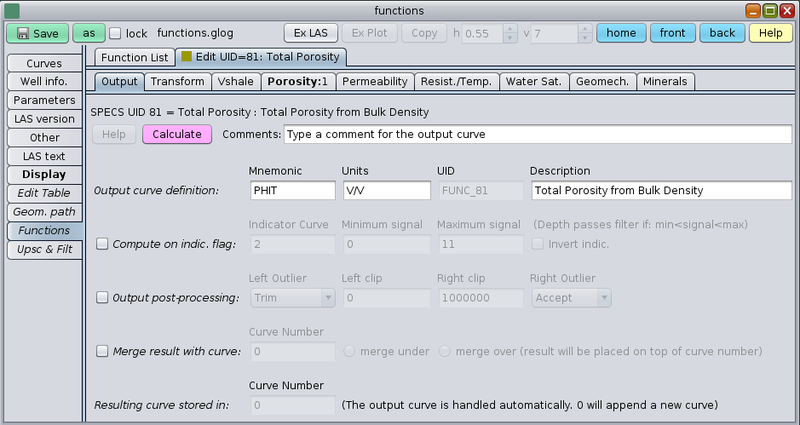 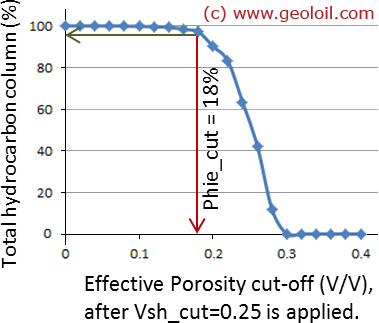 Besides standard formulas for Vshale, Porosity, Water Saturation and more, the module adds curve transforms for kernel smoothing, interpolation, algebraic functions, curve merging and more. 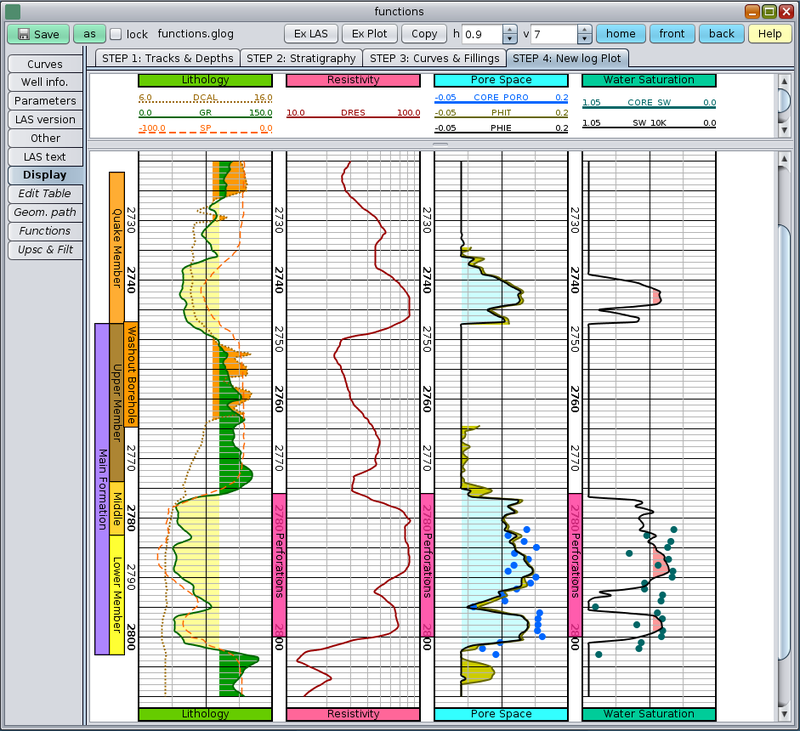 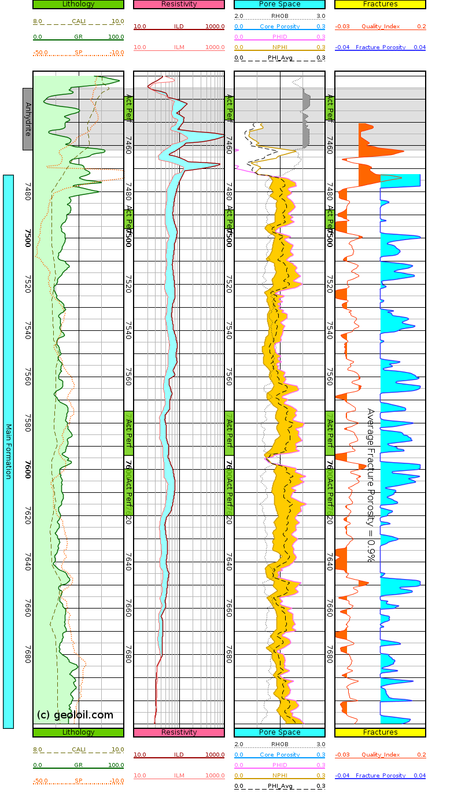 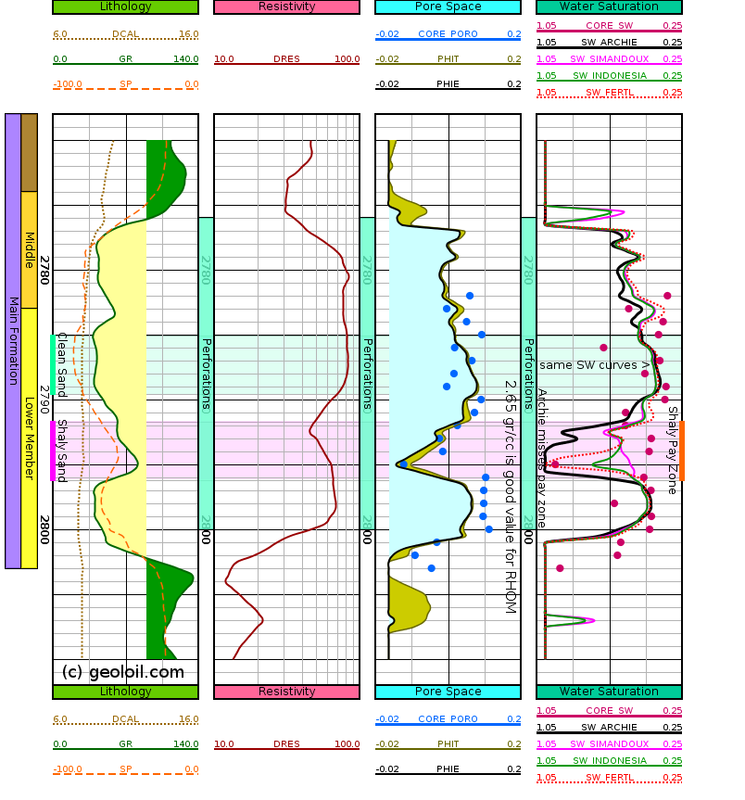 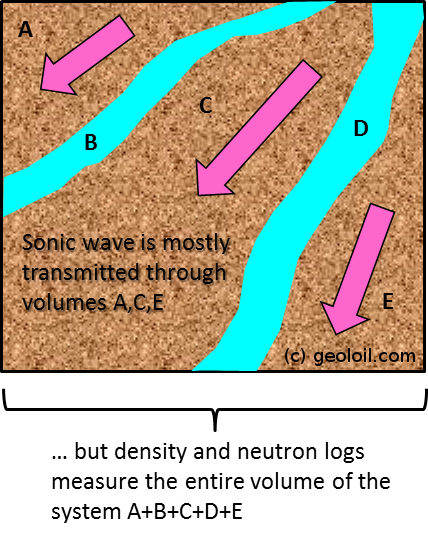 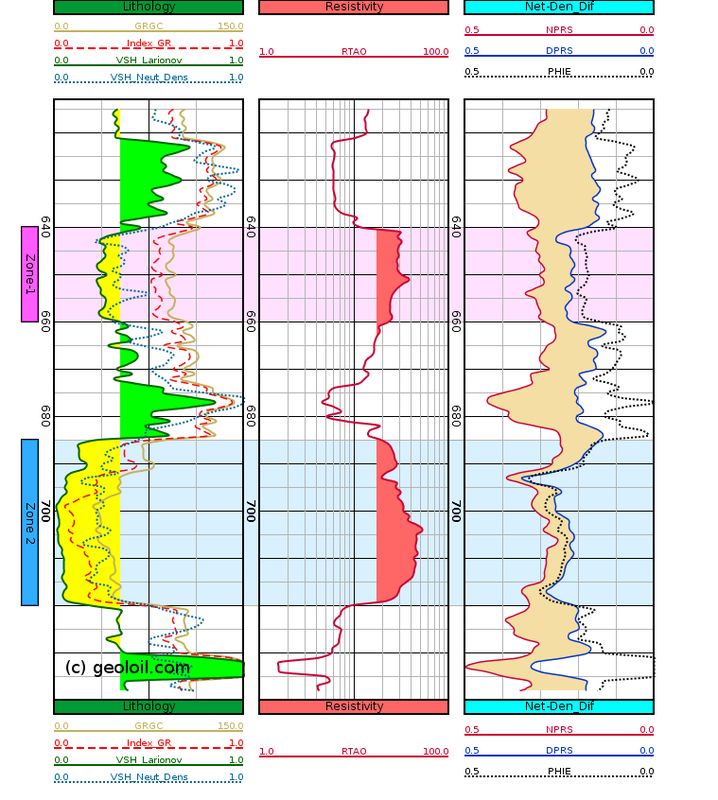 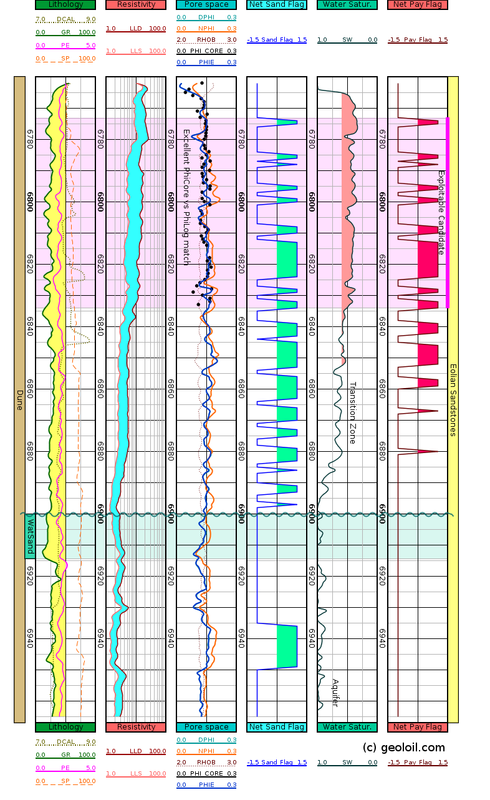 This module allows to produce petrophysical summaries. 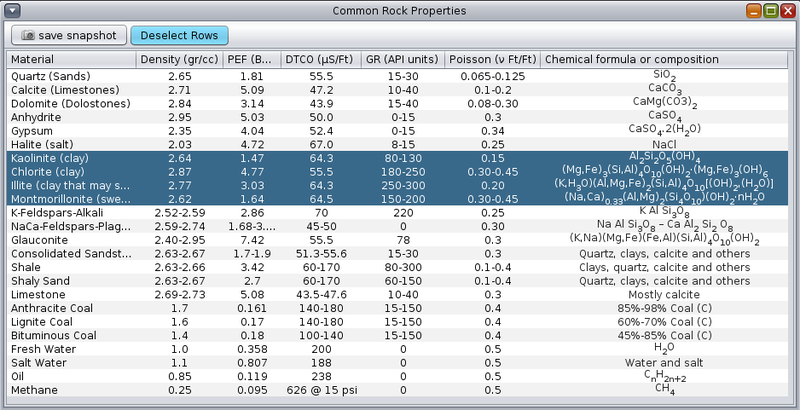 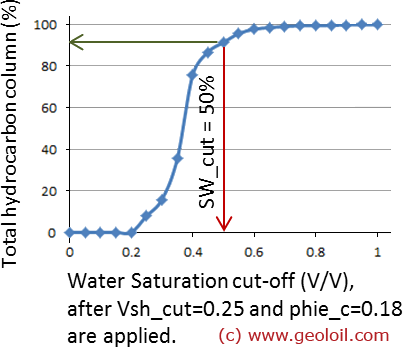 You can compute and adjust petrophysical cutoffs, upscale porosity, water saturation. 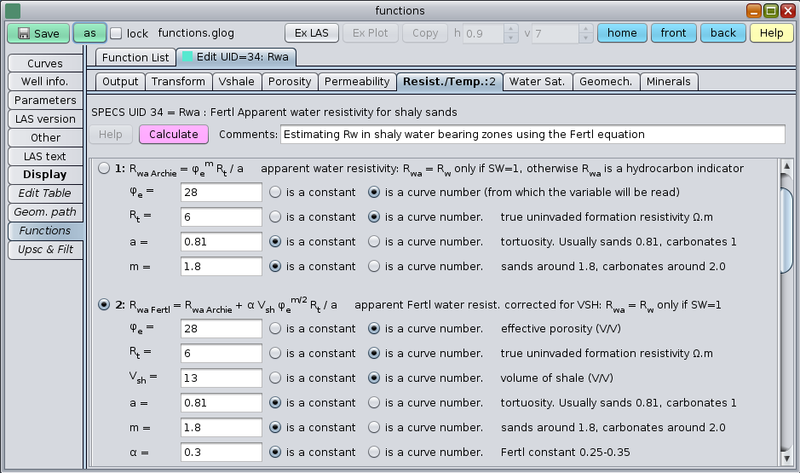 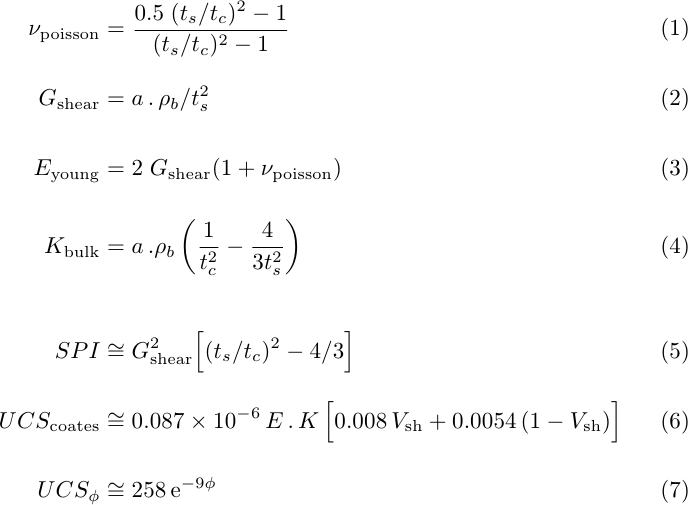 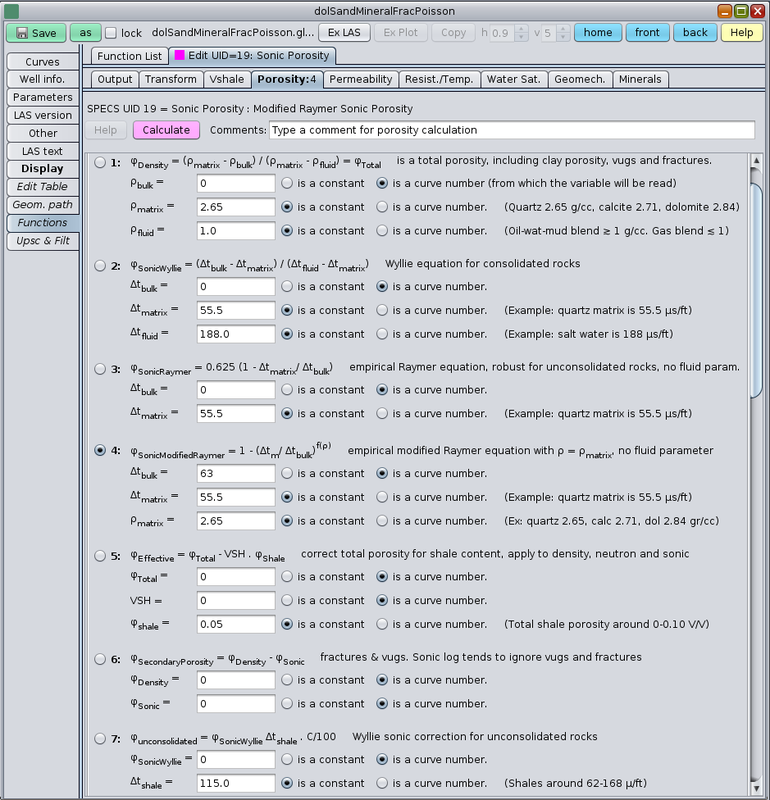 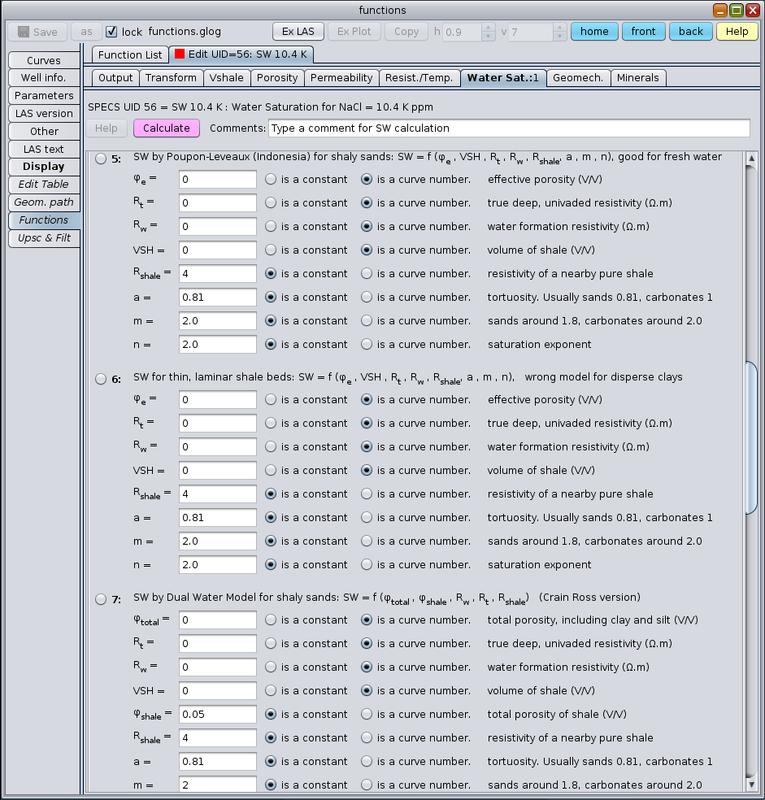 Calculate Net-Pay, Net-Sand, formation water resistivity Rw, cementation exponent "m", Dykstra-Parsons permeability heterogeneity, and more. 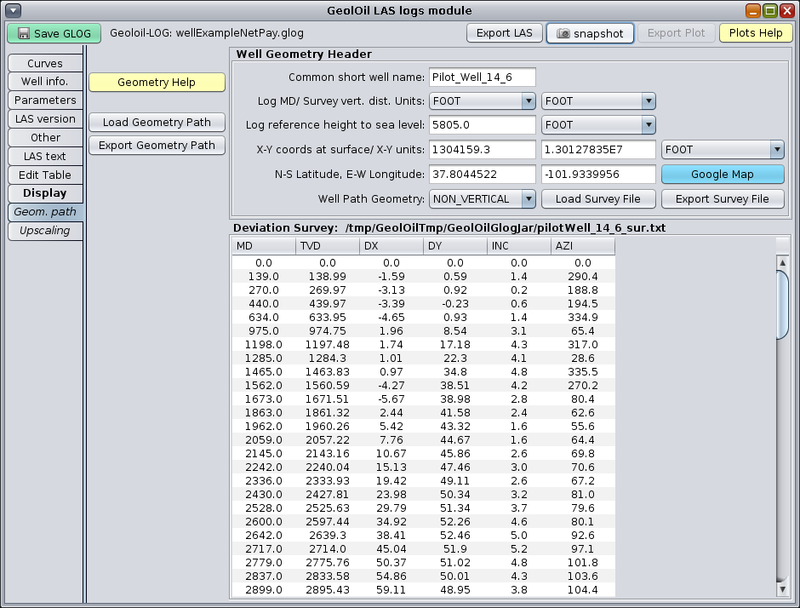 The Corner Point Geometry simulation builder generates complaint 3D grids for the simulators Eclipse, More-Tempest, an CMG-Stars. 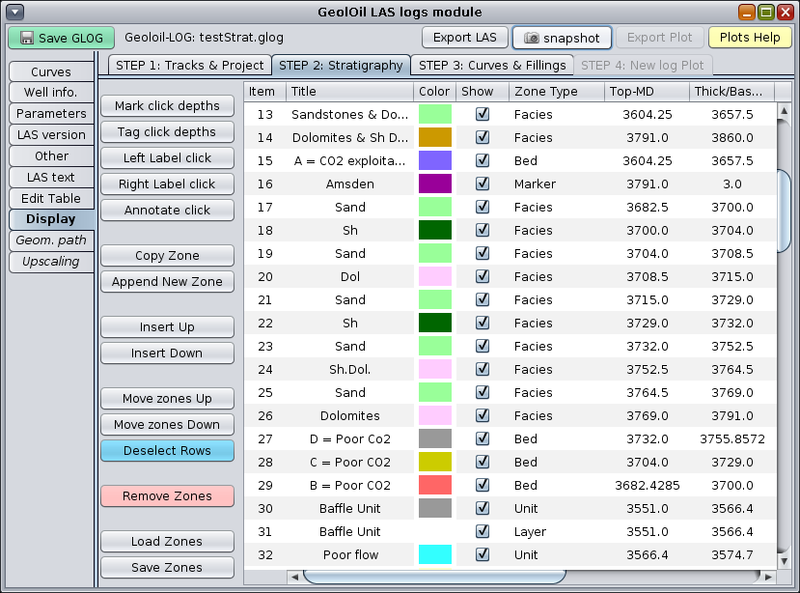 The module not only provides the grid builder, but also computes the navigation of well paths through grid cells and its completion history. 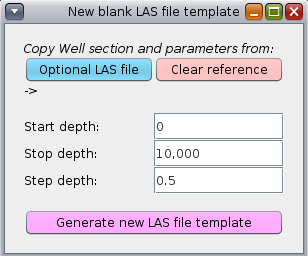 An option that is usually available in other software as a separate module. 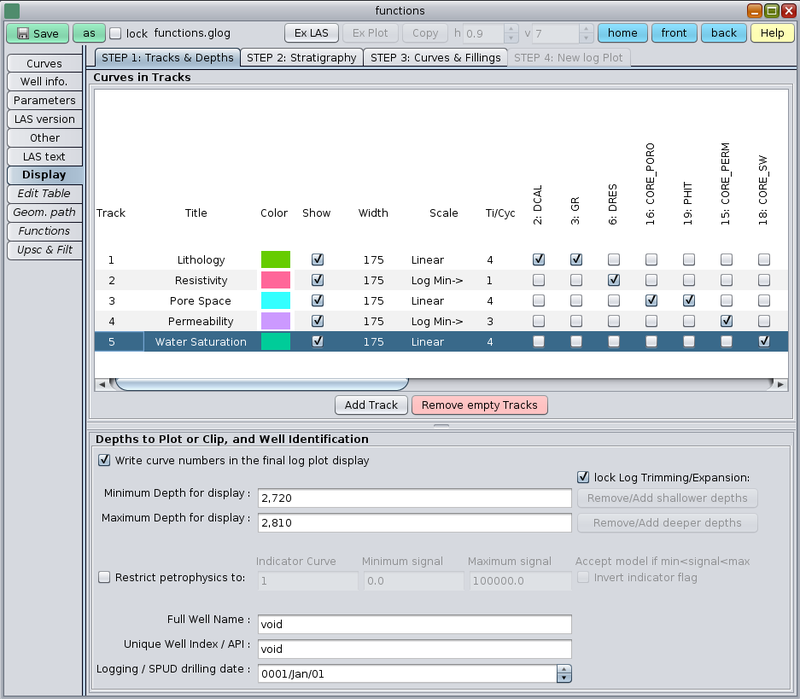 RAM MEMORY: 4 Giga Bytes minimum, but we recommend 16 GB or more. 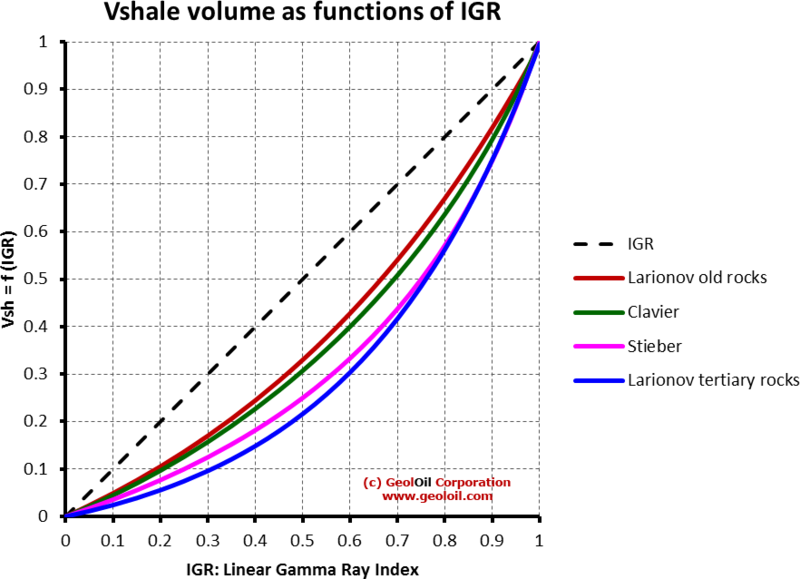 OPERATING SYSTEMS: Windows PC, Apple Macintosh MacOS, an Linux.